The present work was published in the 4th number of the “Bollettino dell’Istituto Italiano di Micropsicoanalisi”, first semester, 1987. The conscious assumption of any substance which is capable of promoting a modification of the psychic and/or somatic balance of the organism (drugs) always corresponds to a deep situation which goes much further than a symptomatic or painful state. In the article “The Case of Sara”, I have attempted to demonstrate how the assumption of opiates corresponds to the necessity of neutralising anxieties tied to precocious traumatic vicissitudes of rejection of an intrauterine origin. I will now try to analyse the nature of the traumatic nucleus which feeds the appetency for alcohol. It is interesting above all to remember some of the pharmacological effects of alcohol. It provides 7 calories per gram, compared to 9 provided by fats and 4 provided by proteins and carbohydrates: “The Alcoholics probably get all the calories they need form alcohol” (D.R. Laurence, Farmacologia Clinica, 1968). It provokes furthermore the peripheral vasodilatation lowering the vasomotor centre and this explains the sensation of heat which is felt after its assumption. On the other hand, the same peripheral vasodilatation causes an increase of the dispersion of heat through the body’s surface with the consequent decrease of the body temperature: therefore, after the transitory sensation of heat, follows a final cold feeling. For those suffering from an asthmatic state, alcohol is recommended as a sedative because it does not depress the respiration in therapeutic doses and it can also have a certain bronco-dilator effect. In synthesis, with the first assumption, a dose of alcohol determines a feeling of internal heat, an initial sedation and a light improvement of the respiratory function: it is this sensation of “warm calmness” which the alcoholic looks for. During the course of any interview with alcoholics, systematically expressions such as “an intolerable sensation of internal cold”, “invincible frost”, “ice in the heart” are heard, which, in my opinion, are not only used to describe a psychological experience but also constitute the compulsive recourse or, better still, the image of a real psychosomatic situation. I want to effectively sustain that a real situation of sudden variation of the body temperature, respiratory difficulties and energetic deprivation, must have effectively produced themselves, at a certain point , during the lives of these people. In an interesting work published in 1929, Ferenczi takes in to consideration three clinical cases (two of bronchial asthma and one of alcoholism in a young woman) and hypothesises that their etiopathogenesis is caused by the fact that they are “undesired family guests”: “…everything makes us believe that these children had perceived the conscious or unconscious signs, with which their mothers showed their refusal or their impatience towards them, and for this reason a rift in their will to live had been produced”. In his work “Cold, Illness and Birth”, Ernest Jones is even more explicit: “After the pain of the birth, the sensation of cold air which the newborn feels is certainly the most relevant demonstration of the ‘castration’ that it has suffered (since it has been deprived of its nest that it previously considered as part of its own totality). The unpleasant stimulation that this change of temperature produces completely disrupts its way of behaving and it is from this (involuntary) reaction that all its life depends”. At this point it is evident that the accent that Fernczi and above all Jones place on the somatic side of the vicissitude has a parallel psychic aspect; so I formulate the hypothesis that these undesired children kept in life during the pregnancy due to a narcissistic investment by the mother (even though conflicting), after the birth are deprived of that vital energetic flow which is the libido. Furthermore, it is common sense that every human being which comes into the world passes from an environment in which the temperature is maintained constant, the uterus, into one in which it is not possible. Nevertheless, not all present the stigmas of which Jones reminded us. It is my opinion, therefore, that the trauma determined by the brusque variation of the temperature must have happened during the gestation period and that the ulterior inevitable variation of the temperature of the first moments of post-natal life can offer the possibility of binding the quantum of uncontrollable excitation determined by these intrauterine traumas to an external situation. 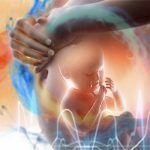 In the foetus, the hypothalamic thermoregulatory centres are still immature and it behaves all in all as a heterothermal animal: in other words, its capability of adapting to the variations in the environmental temperature totally depends on the maternal responses. Even at birth the thermoregulatory mechanisms do not work and the newborn lacks the shiver phenomenon. For this reason and for the high ratio existing between the surface and the body mass the newborn is particularly exposed to the lowering of the body temperature. It is very probable that these children have not only been abandoned for a considerable period of time after the birth, but have also undergone repeated and unsuccessful attempts of rejection which have been ultimately resolved in this sequence: uterine contractions – placental hypoxia – foetal hypothermia. The appetency for alcohol is favoured for its transitory pharmacological actions: the feeling of warmth and the improvement of the respiratory function; it is, in other words, a failed attempt of repairing both aspects of the intrauterine trauma: hypothermia and hypoxia. To illustrate my reflections better, I will use the material taken from the micropsychoanalysis of a young woman who had come into psychoanalysis because of a severe paranoid syndrome but who soon also revealed a tenacious alcoholomania. It is important to specify that the woman was an adoptive child, adopted at the age of one year, who ignored the identity of her biological parents and who had had the same destiny as many other adopted children: the impossibility of harmonising her psychic ground (constituted by the phylogenetic images) with that of her adoptive parents, with the final structuring of a consequent and permanent experience of rejection. 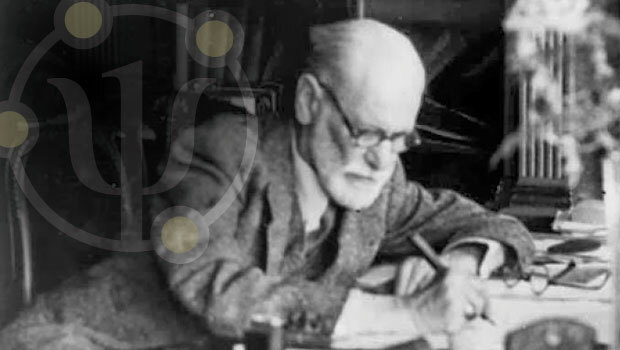 The initial phase of the micropsychoanalytic work was all focused on the strengthening of the primary defence mechanisms. We could say that in the process of the Ego building which is accomplished primarily for the projection of internal phylogenetic objects, these had not been able to find asylum in the adoptive family environment. The patient had, therefore, intensively resorted to the identification-projection, but interacting with an absent or falsely present environment she had filled her Ego with persecutory objects resigning herself to live in a dimension of empty limbo without having the possibility of elaborating the detachment from her mother, nor least of all that of a phantasmal reconstruction of the primary narcissism. For all the first part of the work, I had been careful not to touch that symptomatic behaviour that was, paradoxically, the only reaction which allowed her a precarious balance: the alcoholomania. Only when her Ego was sufficiently strengthened I allowed her to dedicate herself to analysing her appetency for alcohol. The patient began, systematically, to attack her traumatic nucleus after a session in which, overcoming her resistances, began that difficult work of acquainting herself with the constitutive Void that is the cornerstone of each micropsychoanalysis: “I feel cold, an absolute and total cold; but when I touch this cold I feel within myself the spark of life once again… but there is a part of me that does not want to stop drinking. If, at least, I had someone to hold me tight, to warm me… every time I turned to look at my mother (adoptive) I found her glare of ice: I feel as if I have always walked alone, alone in the universe… it will be sufficient to accustom myself to this Void and to realise that you can’t fall into it. In this moment I feel a strange warmth that rises from my stomach, a warmth that fills me, the same warmth that I look for when drinking, but this time it is a natural warmth!”. During the following sessions she began, for the first time in her life, to take into consideration the idea of tracking down her biological parents and soon after she actively began the research, managing to make contact with her mother and recognising her as her own mother. This event allowed her to confront and drench herself with the phylogenetic images of the maternal branch which, previously, appeared to her as estranged and persecutory. Here is the material produced after the meeting with her mother: “Yesterday I truly had the feeling that I was weaning myself off alcohol: finally I felt free from the need to drink, I am happy to have found her again, happy that she had accepted me and happy to find out that she had kept a photo of me in her purse… I was about to say something absurd: I am happy to have a mother too. Now I feel warm and happy”. Effectively, this meeting marked e decisive step in her micropsychoanalytic work (and I want to underline that the fundamental meeting is always the unconscious one, on the images level) and she re-examined her traumatic nucleus several times: “The closer I become to liberty the more I tremble like a newborn in its crib, alone, still wet and waiting to be dried and warmed (this material makes one think that the primary trauma had been repeated successively during the course of her primary childhood every time that she, as a newborn waited wet, to be changed) … in the presence of a cub I always play a strange game: I concentrate on transmitting it love and warmth until it no longer trembles (this is the libido investment: an energetic transmission from one system to another). If I am outside myself it is as if I lack my skin, my protection; if I stay inside myself I feel as though I am suffocating and so I stay very still. I always feel as though someone wants to get rid of me before time… a cold vice which squeezes me and sends me away; I want to grasp on to something but that body sends me away and I feel cold and skinned alive. The rage we carry inside is that of being born against our will and it is to mitigate this rage that we smoke, drink and drug ourselves”. To conclude, I can affirm that the alcoholomania finds a more fertile ground of development in subjects who have experimented traumatic vicissitudes of intrauterine rejection, in which the foetus’s psychosomatic discomfort is expressed above all in the binomial hypoxia-hypothermia. 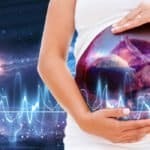 In the case expounded, the same biological mother confirmed the patient’s experience, admitting that she had undergone, without success, an abortion. The compulsive attempt to repair the primary narcissism is reinforced by the pharmacological action of the alcohol, through its transitory and illusory capability of giving a second skin through the peripheral vasodilatation and initial sedation. The dispersion of heat which follows, however, once again determines a feeling of cold, re-establishing the primary traumatic experience: a perfect example of the power of the compulsion to repeat. Se sei qui è evidente che apprezzi il nostro lavoro. 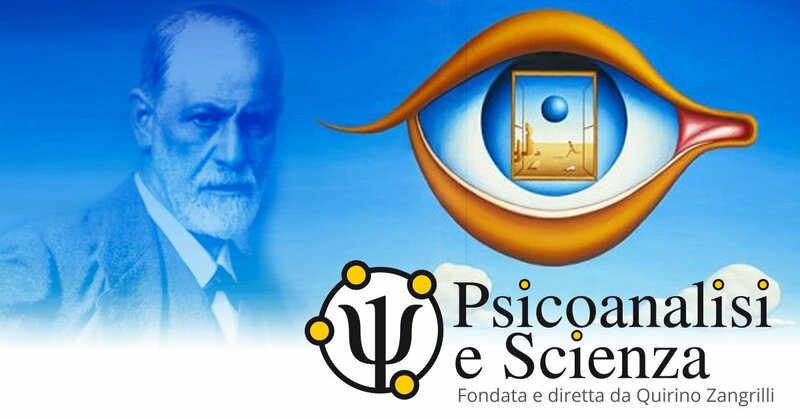 “Psicoanalisi e Scienza” è la rivista on line di Psicoanalisi in lingua italiana meglio indicizzata al mondo. Un numero sempre più grande di persone la segue senza dover pagare nulla. Lavoriamo dal 2000 per migliorare costantemente "Psicoanalisi e Scienza". 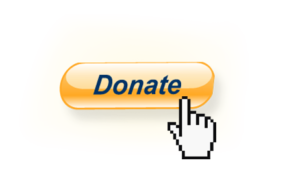 Se apprezzi il nostro lavoro sostienici con una donazione! Servirà a far vivere la Rivista! Grazie! Lavoriamo dal 2000 per migliorare costantemente "Psicoanalisi e Scienza". Se apprezzi il nostro lavoro sostienici con una donazione! Servirà a far vivere la Rivista! Grazie! Resta informato sugli eventi e le nostre pubblicazioni! Il Dott. 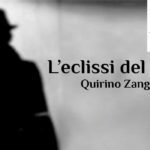 Quirino Zangrilli, medico e psicoanalista, presenta il suo tentativo di trasmettere in modo divulgativo al vasto pubblico di internet i concetti base della psicoanalisi. 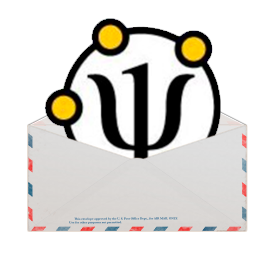 La newsletter di Psicoanalisi e Scienza ti informa su ogni nuovo articolo scientifico pubblicato e sui Congressi o Conferenze di interesse psicologico. I tuoi dati sono tutelati dal Decreto legislativo 30 giugno 2003, n. 196.